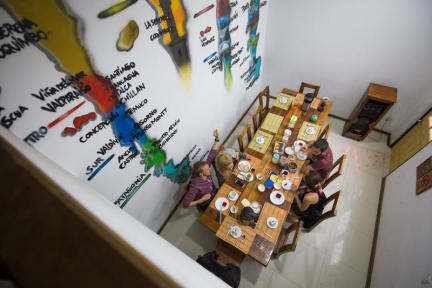 Very nice hostel in the interesting neighborbood of Barrio Brasil! Nice and comfy beds. The staff is very friendly and willing to help you with a smile. Breakfast is great at this place. Only the shower is a little outdated. Highly recommended to stay here when visiting Santiago.